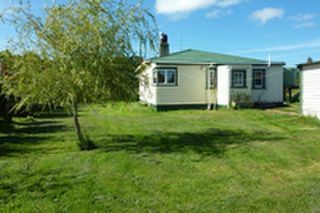 Now you can locate good quality, pet friendly holiday homes in New Zealand quickly and easily. On 'Pets Can Come Too' you will find a range of accommodation to suit all budgets and holiday styles from home stays / bed & breakfasts to apartments and motels / hotels. Bream Bay Lodge is a luxurious, romantic, private 10 acre waterfront French style holiday hideaway Cottages plus luxury suites. Situated on the waters edge, two minutes north of beautiful Waipu Cove and just five minutes to Waipu village and Langs Beach, fringed with magnificent Pohutukawas all set in 10 acres of park like waterfront privacy. Ferry Man's Cottage offers luxurious and romantic holiday home accommodation, set in its own private 12 acre section at the very end of Birds Ferry Road, forming part of our 33 acre property. The Tuki Tuki Valley luxury campsite is located on a small boutique vineyard, within a short walk of the Tuki Tuki river and just 15 minutes drive from Havelock North in the spectacular Hawke's Bay region. If you have any questions or comments concerning any of the pet friendly holiday homes on this site, please contact us.